hey, hey!!! Morgan here again sharing another partnership with minted.com! If you have kids, you might be able to relate to this little spot in our kitchen. 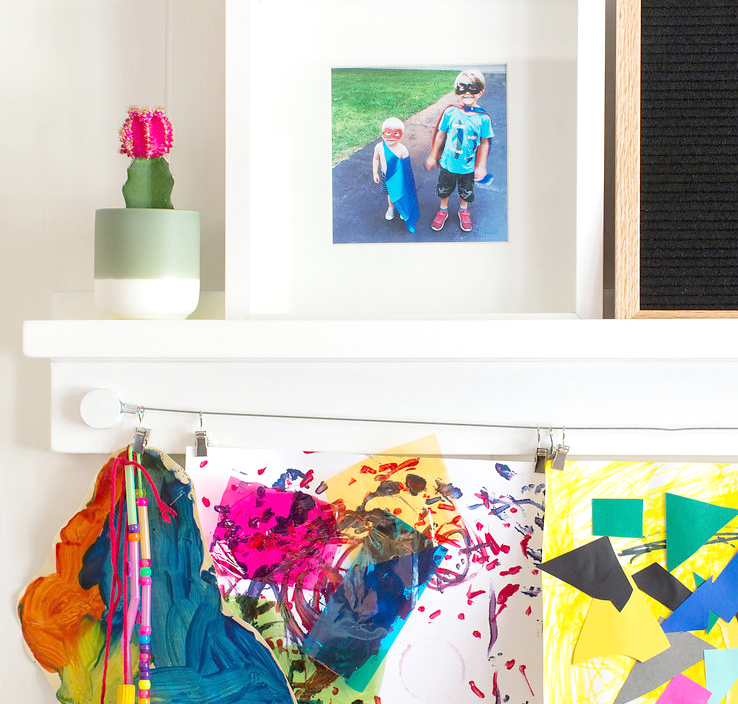 You know the one....the place where you want to display a family photo or two and of course the kids' artwork but it always ends up looking like a hot mess! I am SO excited about this fun solution!! Seriously, this little artist shelf from minted.com is saving my sanity! It keeps everything off of the counter, gives me a shelf for photos and this darling letter board AND a cute way to display kids art!!! Problem solved!! What do you guy think? All beautiful photos taken by Kyndall Durkee.